An immersive experience written by poet and playwright Louise Wallwein. 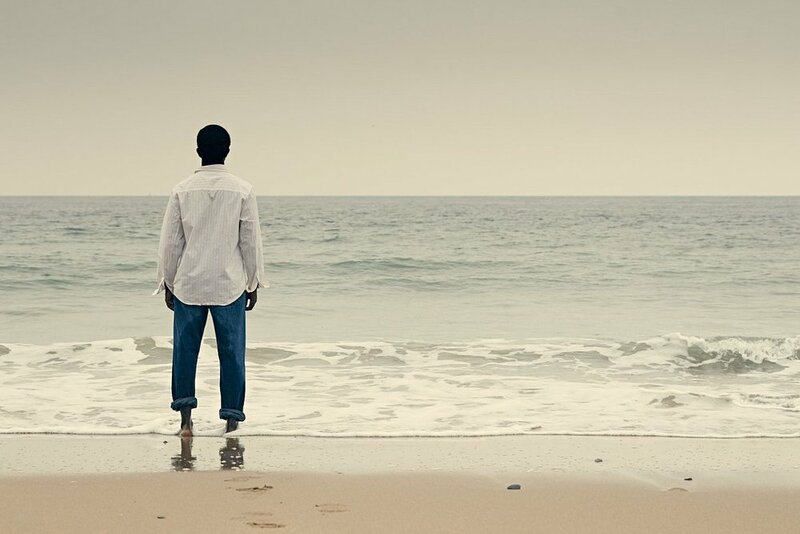 Tide Whisperer was a production by National Theatre Wales, tackling the global phenomenon of displacement and mass movement. Record numbers are on the move all over the world. What is it like to leave your home, and to live with the uncertainty of ever finding another? The Tide Whisperer is full of stories, forever a nomad, having travelled the oceans and been carried by the tide to fresh new shores. On the shores of Tenby, the people gather. The tide is turning fast and a storm is coming. The future feels uncertain – humanity is on the move and seeking refuge. Will we be met by kindness or rejection; offered sanctuary or forced to survive the perilous, treacherous sea? I composed the music for this with John Hardy Music, using a combination of sounds sourced from fishing equipment in Tenby harbour & recorded instruments. The production included a live choral element sung by a lovely and dedicated community choir. Performances ran from 13-16th September 2018 in Tenby, Wales. The live stream version of the production is still available on YouTube here.